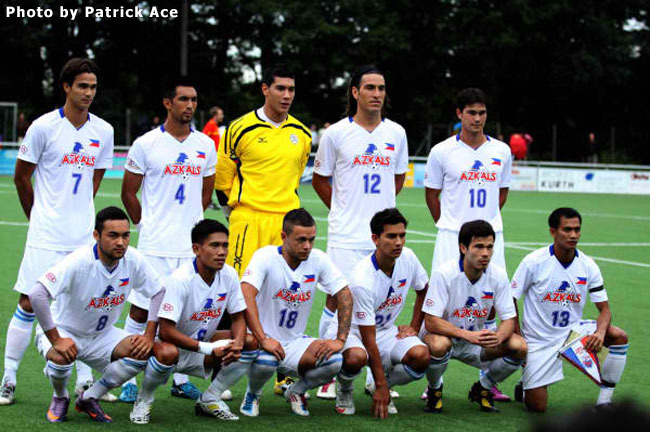 The year 2012 promises to be another busy year for Philippine football and its national team. A series of friendly internationals and training matches are being arranged by the Philippine Football Federation for the national team, the purpose of which is to prepare the team for the much-awaited AFC Challenge Cup in March. 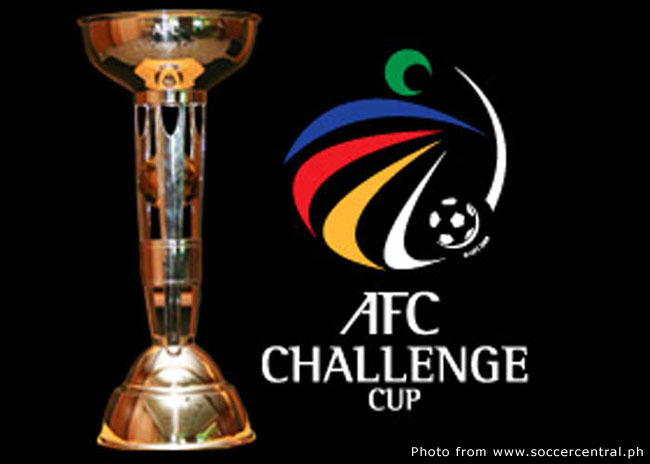 For those who are new to football, the Challenge Cup is the Asian Football Confederation’s tournament for what it calls the “emerging nations.” The tournament is not entirely without pedigree because North Korea – which is from the AFC’s developed bloc – and nations from what the AFC calls the “developing” bloc also participate. 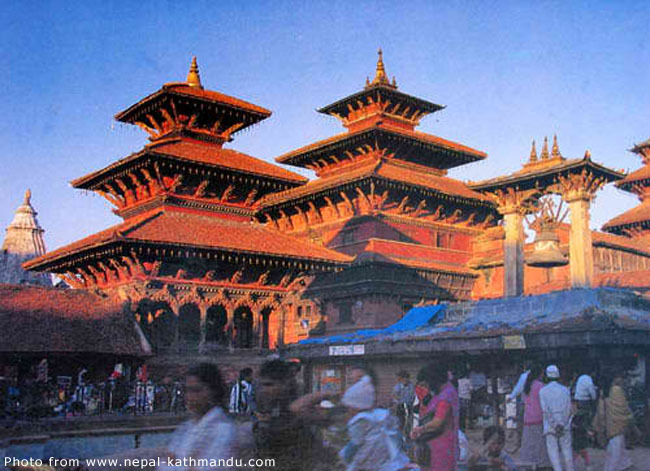 The 2012 tournament, which is to be hosted by the Himalayan Kingdom of Nepal, is the fourth staging of the Challenge Cup. The Philippines participated in all three previous editions of the tournament. In the inaugural tournament of 2006 held in Bangladesh, when there were no qualifying tournaments, the Philippines finished third in a group that was won by India and also included Chinese Taipei and Afghanistan. In 2008, when qualifying tournaments were first introduced, the Philippines hosted one of the group qualifiers in Iloilo. The country finished joint top level on points with eventual Challenge Cup runner-up Tajikistan but failed to qualify for the tournament proper because only the top team of each group advanced and the Philippines had an inferior goal difference. In the 2010 qualifying tournament hosted by the tiny Indian Ocean nation of the Maldives, the Philippines finished third in a qualifying group that also included, apart from the host country, Bhutan and eventual Challenge Cup runner-up Turkmenistan. In 2012, the Philippines will be playing in the Challenge Cup tournament proper for the first time. Its route to the tournament proper included a two-legged play-off against Mongolia and a four-team group in Myanmar that included, apart from the host country, Palestine and Bangladesh. The country finished second behind Palestine, which also qualified for the tournament proper. Ostensibly, the Philippines landed in what appears to be the tournament’s Group of Death. Tajikistan (2006), India (2008) and North Korea (2010) are all previous winners of the tournament. North Korea had been to the World Cup twice, the first time being in 1966 when against all odds it reached the quarterfinals. That was almost 46 years ago. More recently, it also qualified for South Africa 2010. Apart from keeping it close against Brazil in its opening group game when the samba boys were still trying to establish their rhythm, the North Koreans’ naiveté at the big stage was exposed in 0-7 and 0-3 losses to Portugal and Côte d’Ivoire, respectively. Everything depends on what sort of team the North Koreans will send to Nepal. While it has won the Challenge Cup once, its results as seen from a historical context seem to suggest that while the Philippines needs to be prepared, there is absolutely no reason to be intimidated. In the 2008 tournament, North Korea defeated Sri Lanka (3-0), Nepal (1-0) and Myanmar (1-0). The Philippines, as most fans know, had comfortable wins over Nepal and Sri Lanka in 2011 along with two recent draws against Myanmar. In the 2010 Challenge Cup which North Korea won, none of its group opponents were countries that the Philippines had played against recently. Although it routed Myanmar 5-nil in the semi-finals, it could only defeat Turkmenistan by way of a penalty shootout after a 1-all draw. The Philippines, unfortunately, suffered a 0-5 loss to Turkmenistan in the group stages of the 2010 Challenge Cup. However, to advance to the finals against North Korea, Turkmenistan could only defeat Tajikistan 2-nil in the semi-finals. The latter, who won the inaugural Challenge Cup in 2006, could only muster a 0-0 draw against the Philippines in Iloilo in the 2008 qualifiers. In other words, while the 0-5 loss of the Philippines to Turkmenistan in the 2010 qualifiers looked emphatic, it was also probably avoidable. Whatever psychological advantage Turkmenistan might have gained over the Philippines is moot and academic for the 2012 edition at least for the early stage, as it is grouped instead with host Nepal, the Maldives and Palestine. Tajikistan, which is in the Philippines’ group, should hold no such psychological advantage even if it did win the inaugural tournament. Encouragingly for the Philippines, to get to the finals of the 2008 tournament, Tajikistan actually defeated North Korea, 1-nil in the semi-finals. This was the same tournament when Tajikistan went to Iloilo and drew with the Philippines. As for India, which won the 2008 Challenge Cup, it did actually play against the Philippines in the 2006 edition. The result was a 1-all draw. While India won the tournament at home in 2008, it sent an under-23 side to the 2010 edition and finished bottom of its group. India’s great recent achievement in football, however, was to actually play in the 2011 Asian Cup in Qatar. Its results were modest at best: 0-4 to Australia; 2-5 to Bahrain; and 1-4 to South Korea. The experience in such a high level tournament, though, will be crucial. Local reactions were diverse when the draw for the 2012 Challenge Cup came out. The fatalists quickly saw that the Philippines ended up in what appeared to be the tougher draw. Indeed, being grouped against all three previous winners appeared to be a tough proposition. However, extrapolating all previous results in the Challenge Cup along with recent internationals involving the countries in the group, the task for the Philippines appears so much less intimidating. This was always bound to happen, anyway, as the Philippines continued to climb up the ladder of international football. There were also those who were quick to see the brighter side of expectation management, pointing out as they did correctly that we appeared to have landed the easier draw in the Southeast Asian Games only to finish as the tournament’s doormat. At the end of the day, the Philippines really needs to worry less about its opponents than the factors it has less control over. For one, many of the team’s top players are involved in European leagues; and who is eventually released by their clubs continues to be the evasive question. It is reported that there are invitations to play against Middle Eastern team. This can only be beneficial because Middle Eastern teams are always top quality sides. That said, altitude training should be given equal attention. Finally, the sooner the Filipinos realize that eleven men and not reputations play football, the better results may go for the entire team. In fairness, we all saw in the friendly against the LA Galaxy – the first half in particular – that the Philippines can face up to top sides without being star-struck. On to 2012 and the AFC Challenge Cup, then. There are those who fret about the year as the end of the world; but for the Philippine national football team, it is the world that is actually bursting to begin!